Today was the 1,442nd day since Madeleine McCann was reported missing by her parents. That’s 206 weeks, nearly 4 years. Today was also a day when many members of the British public managed to find out a whole lot more facts about the case. * about the leaflet we are distributing, known as ’50 FACTS’, which on four pages of A4 summarises some of the disturbing facts about the case. The Mail, additionally, gave its readers the title of the leaflet: ‘What happened to Madeleine McCann? 50 facts about the case that the British media are not telling you’. 4) How the McCanns wasted public money on useless private detectives. It also mentioned our first book on the case: “What Really Happened To Madeleine McCann? 60 Reasons To Suggest She Was Not Abducted”, now effectivley a banned book in view of the McCanns’ threat to sue for libel over its contents. What has been the outcome of the Daily Mail’s article so far? We received new enquiries about membership. This response has echoes of a previous occasion when the media slated The Madeleine Foundation, following distribution of another leaflet about the case, ’10 Reasons’. The distribution of the leaflet to 150 houses in the McCanns’ home village, Rothley, led to adverse press headlines. But the Madeleine Foundation was named, and in the weeks that followed, tens of thousands visited our website, hundreds of our ‘60 Reasons’ book were sold, many more offered to distribute leaflets, and we gained 20 new members. While the media may portray us as unjustified hounders of the McCanns, the fact is that many of the British public want to know more about the facts in this case, and are hungry for further information. The reaction to today’s Mail article proves that once again. More lies from Dr Kate McCann: JK Rowling did not help her write her "account of the truth"
FFS, Kate, how many more lies are you going to tell? Yesterday it emerged that the author had given a helping hand to Kate McCann, the mother of the missing eight-year-old, Madeleine, with her account of the disappearance in Portugal four years ago. But Rowling denied reports that she had written the book which is due to be published next month. In a statement a spokesman for the author said: "While JK Rowling has been a long-term family supporter, her only part in bringing the book to publication has been in supporting the fact that her literary agent was also representing Kate. Beyond this, she has not been involved in any aspect of the writing, editing or publication of the book." 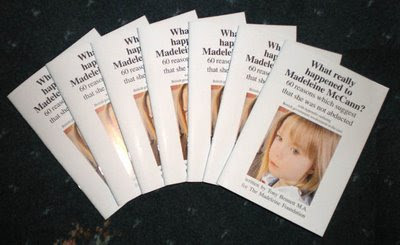 So in the lead-up to the publication of this 'very truthful' book about Madeleine, which will contain Dr McCanns' 'version of the truth', it looks like Dr Kate McCann (ahd her advisers and public relations officers) have been very untruthful. "Rowling also helped Kate and husband Gerry by putting them in touch with her agent Christopher Little who arranged a book deal with publishers Transworld". 6. Clarence Mitchell briefs press: 'J K Rowling helped Kate write her book'. 8. J K Rowling and her advisers: 'WT!?*!!??**?!*?! *' Put out a statement denying this immediately!! In Sunday's Express, Dr Kate McCann said it was the 'fear of attacks by groups like The Madeleine Foundation' which had decided her against doing book-signings. "Heartbroken mother will not take part in celebrity-style signings because it would be 'in bad taste'". OK, 'very truthful' Kate, which is it? Or 'book signings would be in bad taste'? Or is it even a third, unmentionable reason? That is - Because so few people would want to buy a book by people who deliberately left their three children in a dark room, 120 yards' walk away, whilst wining and dining wth their mates, yet produced an unnamed Social Services official who allegedly said: 'This is well within the bounds of responsible parenting? All of this after TWO of the their three children, only the previous night, had said: "Why weren't you here when we were crying last night?" A surgeon at Great Ormond Street Hospital is being investigated over claims of child abuse. The allegations against Philipp Bonhoeffer, a world-renowned cardiologist, relate to his time working for a charity in Africa. He was suspended two years ago but the case has only just come to light. The hospital has set up a helpline for parents of children he has treated. Four families had contacted the helpline by last night. 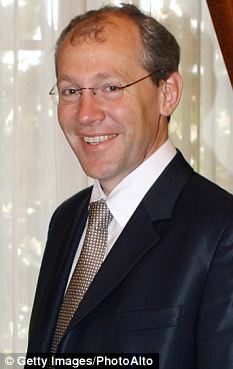 The 49-year-old, who was born in Germany, began working at the famous London children’s hospital in 2001 and has treated hundreds of young patients as head of cardiology. He had been due before a General Medical Council tribunal in October but the case was halted after his lawyers submitted that there was not enough evidence. This objection will be heard at the High Court today – but the GMC insists its investigation will go ahead regardless. Although details of the case have not been made public, it is believed to concern a man who alleges he was sexually abused by the doctor when he was a child. Dr Bonhoeffer is also alleged to have tried to bribe the man to make him retract his accusations. The doctor, who lives in Camden, North London, strongly denies all charges made against him. Glenfield Hospital cardiologist, Gerry McCann, on the other hand, was NOT suspended from his job for repeated negligence of his three young children which led to one of them being believed to have met her death in the apartment whilst left alone. Dr McCann is also suspected of having concealed the body of his daughter to allow him to set up a Fund which has attracted millions of pounds, some of which was used to pay his mortgage. Instead of being suspended, Dr Gerry McCann was permitted to make use of Glenfield Hospital to take part in a documentary for Channel 4 (Cutting Edge Madeleine was here). I write to bring to your attention a report about the above couple, both doctors, published in the Sunday People yesterday. 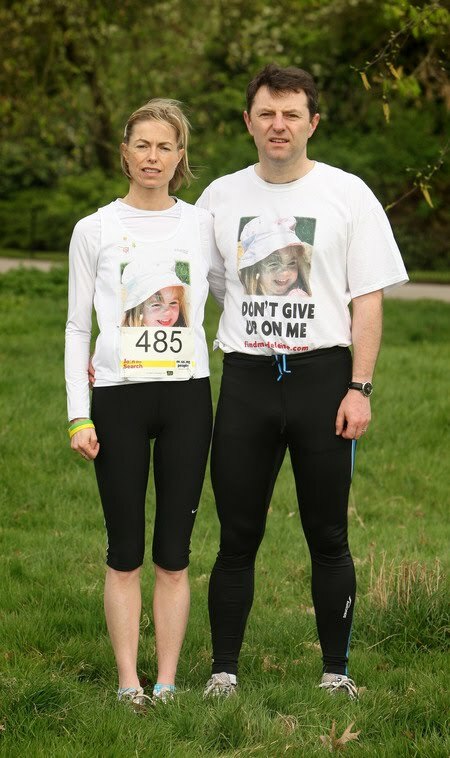 Dr Gerald McCann and Dr Kate McCann are the parents of Madeleine McCann, who was reported missing by her mother at around 10.00pm on Thursday 3 May 2007. The circumstances of her disappearance remain mysterious and as yet unsolved. They were made official suspects of involvement in their daughter’s disappearance in September 2007, a status that lasted until July 2008 when the Portuguese judicial authorities concluded that at that time there was insufficient evidence to charge them or anyone else with a crime against Madeleine. Yesterday, the Sunday People published an article based on what they said was a 34-page libel writ served in Portugal against Goncalo Amaral. 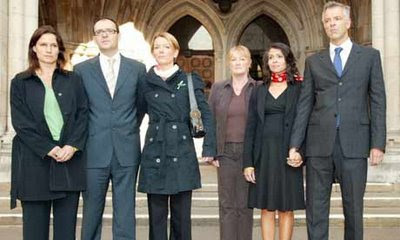 The McCanns and their advisers have already announced in the press that they intended to sue Mr Amaral for libel. Mr Amaral was the senior investigating officer in the case until he was removed from the investigation in controversial circumstances in October 2007. A month earlier, he was the man responsible for declaring the McCanns to be official suspects in their daughter’s disappearance. The Sunday People says it has translated the libel writ from the Portuguese. The McCanns are claiming damages of £1 million from Mr Amaral. I wish to bring to your attention the medical and psychological condition of these two doctors, one of whom continues to practise, and both of whom we understand to be on the GMC Register. · “totally destroyed from a moral, social, ethical, emotional and family point of view”. The question that arises is whether either of these doctors is fit to practise or indeed to remain on the GMC Register, at least until these serious psychological problems, suggestive of mental illness, subside. We suggest that the appropriate committee of the GMC should consider (a) suspending them from the GMC until a psychiatrist deems that they have recovered from the above symptoms and (b) providing them with the expert psychiatric help and counselling that anyone exhibiting such severe symptoms should receive from the N.H.S. Presumably if the McCanns are exhibiting these symptoms there are reports available from their G.P. or a psychiatric specialist confirming those symptoms. MADELEINE McCann’s parents are set to be quizzed in court later this year in connection with their daughter’s disappearance. Kate and Gerry McCann, of Rothley, Leics, will face lawyers acting on behalf of the Portuguese detective who led the hunt for Madeleine. They are suing former police chief Goncalo Amaral for more than £1million damages over claims he made about them. Amaral, who believes Madeleine is dead, is due to call the McCanns in his bid to defend himself. Last night the couple’s lawyer Isabel Duarte said she expects the libel trial to take place this year. Madeleine went missing during a family holiday in Praia da Luz, Portugal, in May 2007. A key chapter of Goncalo Amaral's book 'The Truth About A Lie' explains the remarkable saga of how Jane Tanner came to identify Murat, leading to his being taken in for questioning. Jane Tanner later changed her mind about Murat being the abductor. Why did Ray Wyre write an article about Madeleine's disappearance within days of Madeleine disappearing. And why did the McCanns meet the Wyres. And what sort of charcater was ray Wyre anyway? Kate McCann: "If your child goes missing or a family member goes missing sometimes you might not get anything." In a recent charity run for Missing Persons, Mrs McCann said burglaryvictims might get help from the state, but added: "If your child goes missing or a family member goes missing sometimes you might not get anything." Well done on completing the run, but I beg to differ. Police forces from around the world including Poland, Belgium, Germany, Spain, Malta, New Zealand, Australia, Canada, the Guardia and many more. Police forces within the UK including Exeter, Glasgow, Leicester West Yorkshire. Not to mention all of the Portuguese government/non governmental agencies and facilities at first hand. All areas were searched extensively, involving all squads of police, the army, Marine authorities in what was "the greatest search Portugal had ever seen". There really are too many to mention. I like to be accurate, but it would take forever to compile the full list. Add to that the huge amount of airtime and media coverage devoted to reporting, interviews and dedicated appeals. Jetsetting the world for free has allowed visits to places such as Washington, Morocco, Fatima and blessings from the Pope. Private ministerial meetings and advice from the best consultants. Police escorts and preferential first class treatment. A private company created under the guise of a fund, has allowed a comprehensive team of lawyers to be hired and a mortgage to be paid. Well meaning people, including pensioners and children have donated to this fund. They wanted help find the child, unaware their money would be used in such a ill mannered fashion. To this day, the 'fund' is still misreported and believed by the more naive amongst us as a... charity. A charity it most certainly is not. So, all in all, a very fair amount of worldwide help for infamous parents who apparently neglected their children and put their daughter in the position she now finds herself. Certainly can't be attributed to not getting anything. All Kate McCann had to do was answer 48 questions to aid the investigation. She refused to answer all but one..
Q - Are you aware that the fact of your not answering the questions put to you jeopardise the investigation that was aimed at finding out what happened to your daughter. She answered: "Yes, if the investigation thinks that." Why? Her husband co-operated with the police. The age old excuse of 'incriminating oneself' just doesn't wash - what parent would refuse? Comparing the help you may receive from the state when a person goes missing to a burglary really comes as no surprise. Did you know it can also be put on a par with your student overdraft? Perhaps Mrs McCann should count her lucky stars that her family has received unprecedented support thus far. She should perhaps check her own insurance policy - leaving your valuables on show with unlocked doors really does entitle you to nothing. ** The 48 questions Kate McCann refused to answer, can be viewed on the BBC News website by clicking here. 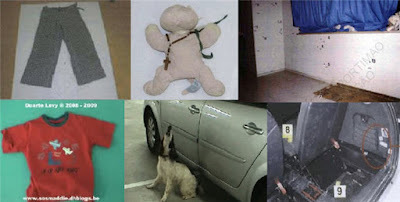 If the McCann's keep telling us Maddie is still alive, why is there no evidence of abduction but much evidence of death in their holiday apartment and the car they hired more than 20 days after she disappeared?